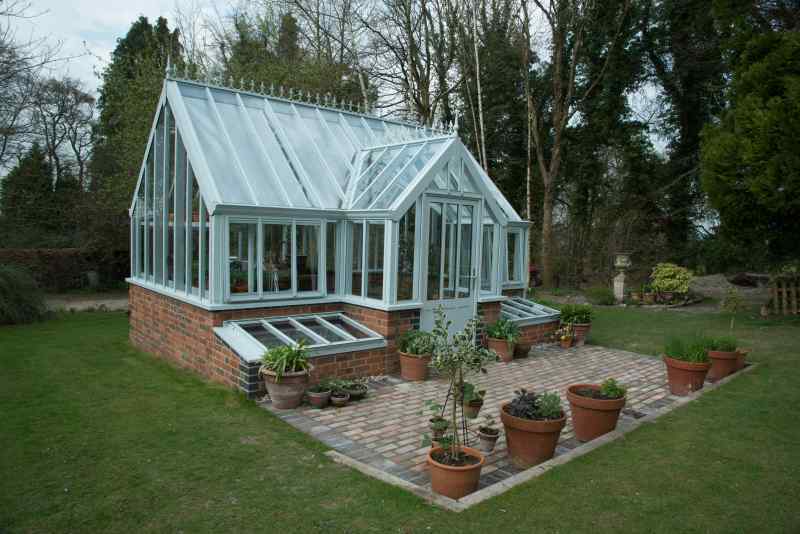 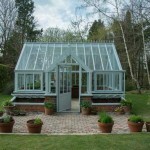 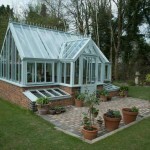 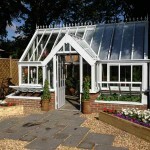 An elegant free standing Greenhouse with a protruding porch which makes a beautiful feature in a garden. 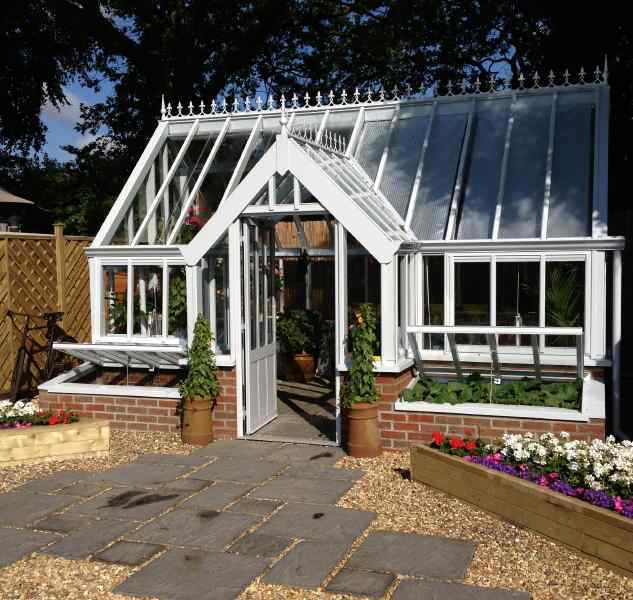 3m wide (including the porch) and 4.9m long the porch allows for access at the side which can be particularly useful in some siting situations and cold frames can be fitted as an optional extra to each side of the porch. 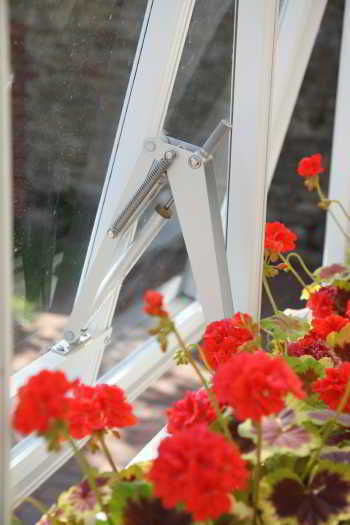 The design incorporates plentiful ventilation to enhance your control of temperature and humidity. 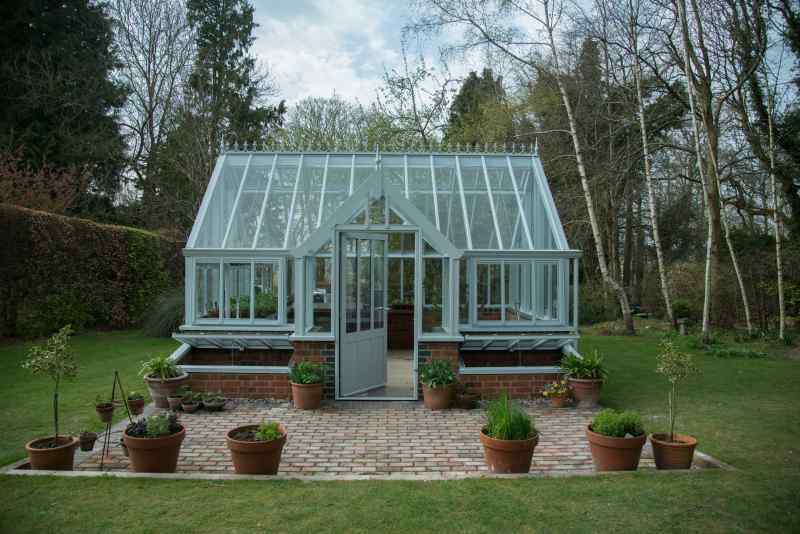 With a 45 degree roof pitch, narrow panes of 4mm clear toughened glass and a protruding porch the Rosemary is an eye-catching beautiful feature that will particularly complement traditional garden settings.